Dr Hannah Maskell has been a GP in Melbourne for the last 11 years, moving to Cairns with her family in January 2018. Dr Maskell has a special interest in skin cancer medicine and surgery and joined the team at Skin Alert in April 2018. 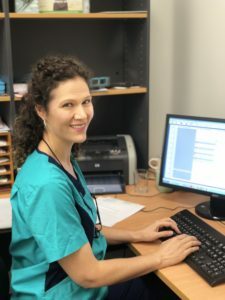 She is an accredited skin cancer doctor with the Skin Cancer College of Australasia, having completed the Advanced Clinical Certificate of Dermoscopy in 2017. Dr Maskell is passionate about early detection and treatment of skin cancers.